The company is a renowned Manufacturer, Supplier and Exporter of Automatic Linear Labeling Machine (Simplimatic-R) from Delhi.& Our Labeling Machines have adjustable legs to adjust height as per other machines of line. Bulk orders of the Linear Labeling Machines are processed by us as per the specific requirements of the buyers. Simplimatic - R are linear Labeling Machines for handind Bottles and Containers. 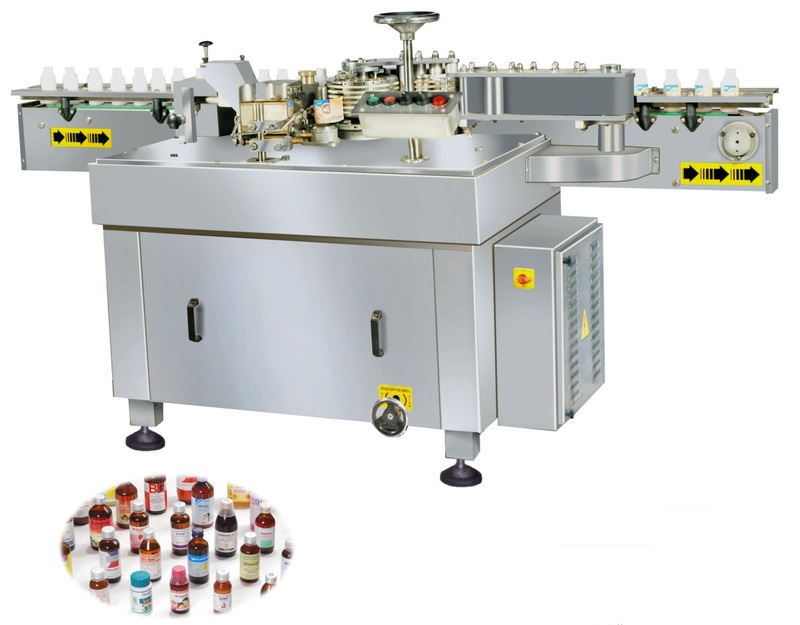 These Machines are widely used in Pharmaceutical &amp; Liquor industry for applying single label. The glue is fed manually in Gluepot by Operator which through S.S. Glue Roller is transferred to Rubber Roller. Thin Layer of Glue from Rubber Roller and then picks the label from leble magazine which oscillates by actuation of Limit Switch / Lever for No Bottle - vacuum created by inbuilt Vacuum Pump. This label is then released onto the bottle moving on the inbuilt conveyor by fingers of label drum which is then pressed by imported Massage / Pressing belts. Variable Speed with variable speed pulley. No Bottle - No Label. Inbuilt Vacuum pump of "ACMEVAC" make. Easy to adjust for different size of bottles and labels with additional change parts. Simplimatic are designed for Outputs 2000-7200 Bottles / Containers Per Hour. M.S. Construction for complete machine (Economical Model).